Guns N’ Roses will perform at Festival D’Été (Quebec City Summer Festival) in Québec City on July 12th. The festival, which runs July 4–14, is billed as Canada’s biggest outdoor artistic event. Other acts playing during the 11-day event include Rush, Def Leppard, Foreigner and the Black Keys. Full details about the festival can be found here. 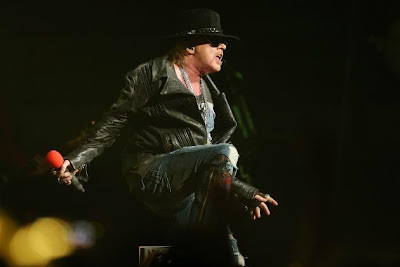 Guns N’ Roses will wrap up a brief, 9-date series of US concerts this weekend when they headline the Governor’s Ball; the June 7-9 event at Randall’s Island will also see performances by Kanye West, Kings Of Leon, Gary Clark Jr, and many more.